Green Street House was built in the mid-16th century and later became known as Boleyn Castle. There is no evidence for the tradition that Anne Boleyn lived at the house but Richard Breame, the estate’s owner and a servant of Henry VIII, may have boasted that the king courted his future bride there. Green Street House was used as a Roman Catholic school from 1869, when the owners demol­ished its gateway and began to develop the land facing the street. In the early 20th century the house became a maternity home and its grounds were leased by West Ham United football club, which built a stadium in the grounds. Green Street House was allowed to deteri­orate and was demol­ished in 1955. West Ham United played their last game at the Boleyn Ground on the evening of 10 May 2016, beating Manchester United 3–2. 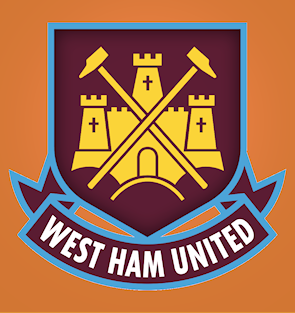 From the start of the 2016/​17 season the club’s home became the Olympic Stadium in the Queen Elizabeth Olympic Park. Barratt London is now redevel­oping the Boleyn Ground with what is being called “high quality housing … and innov­ative ground floor retail and leisure facil­ities.” The developers also plan to name the central area of the scheme after West Ham legend Bobby Moore and to create sculp­tures and works of art to remember famous players and moments from the club’s history. The current West Ham memorial garden by the front entrance to the ground would also be retained, protected and incor­porated into the new devel­opment. The Upton Gardens project is expected to be completed in 2018. Queen’s market moved to its present location on Green Street in the 1960s and its traders now specialise in textiles, clothes and a range of exotic and everyday foods. The market operates on Tuesdays, Thursdays, Fridays and Saturdays from 9am to 6pm. The wards of Green Street East and Green Street West lie on either side of the road, north of the railway line. Slightly less than a third of the population is of Indian origin, while Pakistani, Bangladeshi, black and white minor­ities each accounted for between 10 and 20 per cent the total at the 2011 census. Islam is the principal religion, followed by Hinduism. The percentage of adults in employment is relat­ively small, mainly because of the high numbers of students and homemakers. The average age is low and the number of people aged over 75 is almost a third of the national average. The 2005 movie Green Street starred Elijah Wood as an American who joins a ‘firm’ of aggressive West Ham fans known as the Green Street Elite. This love-it-or-hate-it film was made at the nearby Three Mills studios, with location shooting in the area. 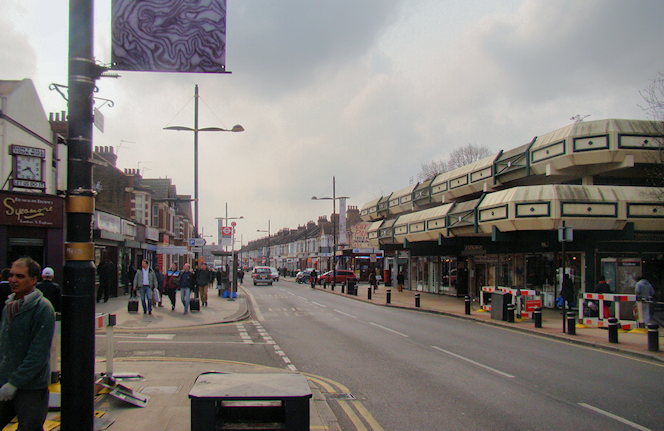 * The view south-southeast along Green Street on this page is adapted from an original photograph, copyright Robert Lamb, at Geograph Britain and Ireland, made available under the Attribution-ShareAlike 2.0 Generic Licence. Any subsequent reuse is hereby freely permitted under the terms of that licence.